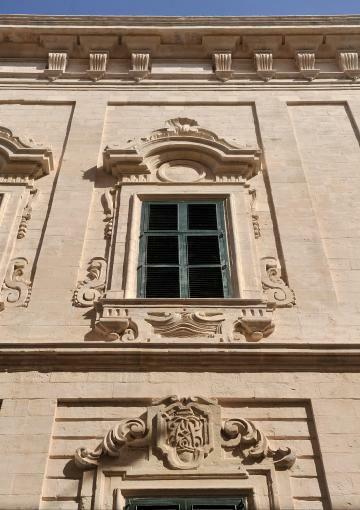 Restoration work on the façades of the Auberge de Castille has finally been completed, five years after the first scaffolding went up. The project involving the cleaning and repair of the intricate stonework, started in Merchants' Street and continued along the main façade and then the St Paul Street side - which needed most work because it was more exposed to the sun, sea salt and power station emissions. The last of the scaffolding and hoarding has now been removed. The project was handled by the Restoration Unit of the Infrastructure Ministry. 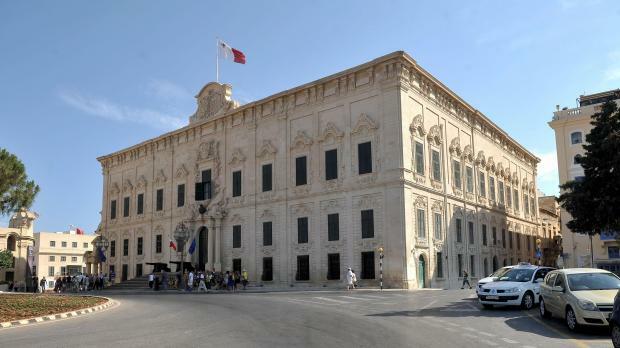 The Auberge de Castille has been used as the Office of the Prime minister since the early 1970s. Originally built as a single floor building to house knights from Castille, it was given its flamboyant Baroque style when it was remodelled in the eighteenth century. It was seen as an expression of power and prestige, exalting Grand Master Pinto, whose symbol, the crescent moon, is displayed throughout the building. A bust of the Grand Master is seen above the main door. Over time, the sculptured stonework started to crumble and the façades were blackened with grime. The building was also hit by a bomb in the second world war, although the façades were not demolished.